I am macaron-obessed. I realize more and more people are starting to get into the macaron craze. 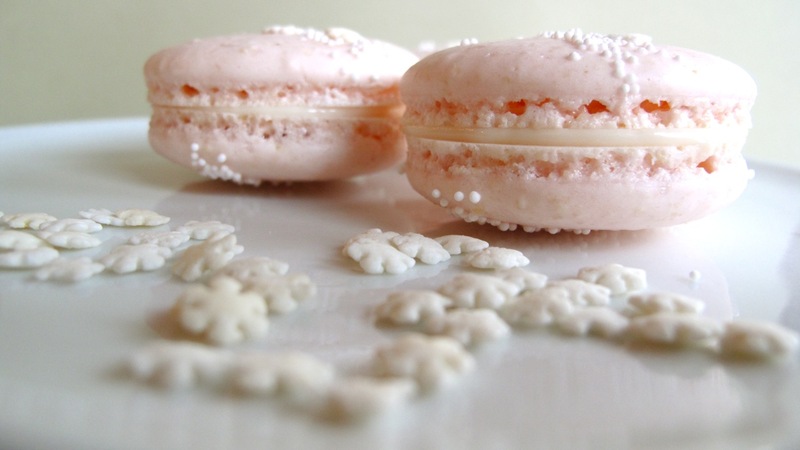 I've aspired to create perfect macarons since the day I recieved my first hand-held mixer as a gift. Since then, I've been pursing the perfect macaron. They're tricky little things to make. I've got the technique down enough so that mine always develop the little "foot" now but I'm still not satisfied. I won't be satisfied until they taste as good as the Laduree macarons I had in Paris! These turned out okay. 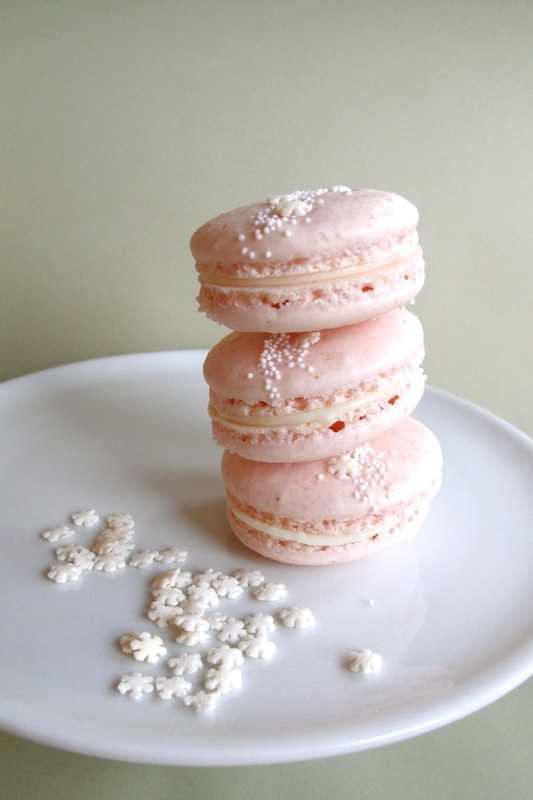 I wanted to tint them a light pink and use some rose flavored syrup in the white chocolate filling. I found some sprinkles and decided to add them on before baking. They were little snowflakes. It's almost Christmas-time so it works! I will be trying them again soon and experimenting with different flavors. wanna bring some to our secret santa get-together? I've never had macaroons.. Your photos are just stunning. What gorgeous little treats these are.